SEO is not a mere marketing buzzword. It is not dead. SEO really works. With the right SEO strategies, you can drive consistent and even endless traffic to your brand’s website. While Google algorithm updates ensure the most cutting edge SEO strategies are constantly evolving, this will hardly be an issue so long as you continue to provide value and work with the core elements of SEO practices. Although you can still hire a knowledgeable and experienced SEO provider for your brand, this is great news for business owners with shoestring budgets. The core elements of SEO today are same as ten years ago – complying with them in combination with Google’s constant updates can bolster your search engine rankings. As earlier stated, SEO generates valuable web traffic. 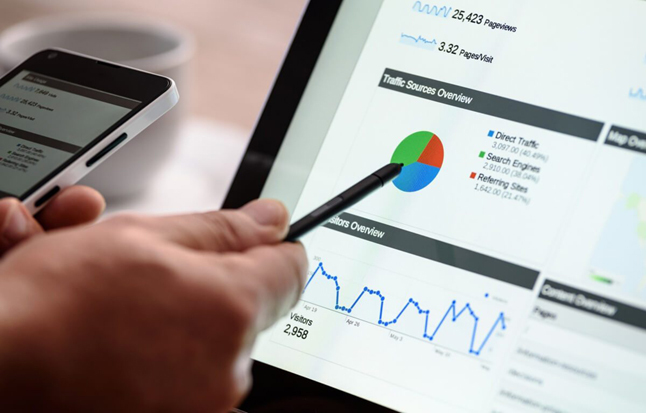 Google Analytics helps to track this traffic, providing insight into how your target customers search, how they browse, their most active days, their location and language, and the technology they use. This is an invaluable tool for your business as it can help you make more informed decisions concerning your business and marketing strategies – online and offline. The goal of every business is to establish an authority in their industry and with the services they provide. SEO can help you achieve this goal – both online and offline. At least 80 percent of web users today prioritize organic search results over paid ads. Hence, by investing in SEO and getting high ranking from search results, prospects and consumers are more likely to discover your brand. More importantly, establishing authority with search engines like Google literally passes a vote of confidence on your brand. While customers may not consciously realize it, high search rankings make you appear more credible. In fact, statistics have shown that 75 percent of users will never scroll past Google’s first page. No form of online or offline marketing effort is more rewarding that SEO – and the reason for this is simple. As an inbound marketing strategy, SEO allows you reach people specifically searching for your products and the services you provide. You do not need to take up space on a news article or even interrupt their favorite show on TV. You just show when they need the services you offer. No, you do not have to convince them they need the products or services you offer; you only need to convince them you are the right business for them. In other words, you would have won half the battle by using SEO for your business. There is no denying that SEO is crucial to the success of your business today. When done correctly, it not only boosts your brand’s web presence, but gives you the platform to outdo any competition and continue to grow.